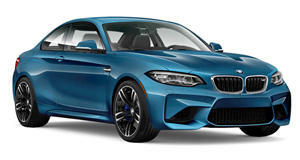 With a standard 6-speed manual gearbox, the BMW M2 is targeted at drivers who seek meaningful involvement in their driving. The manual ‘box is paired with a 365hp 3.0-liter inline-6 driving only the rear wheels, though buyers can opt for a self-shifting 7-speed M-DCT dual-clutch automatic. The M Driver’s Package lifts the speed limiter from 155mph to 168mph, and gives buyers a free high performance driving course. Safety is ensured by standard ventilated brakes with ABS and EBD, and optional assistance packages that include lane departure warning and frontal collision warning. Unlike other manufacturers, BMW’s interiors feel the same quality whether it’s the 2 Series or the 7 Series. The M2 is no different, feeling exceptionally high quality. Ergonomically, it lacks the polish of rivals like the Audi RS3 sedan, with 4 doors and decent rear head and leg room. Instead, the M2’s rear occupants are cramped due to the coupe body style. But it’s the driver who feels most awkward, as the driver’s seat doesn’t face dead straight. In order to accommodate the BMW M seats, they had to angle them slightly, leaving the driver orientated towards the front left wheel. 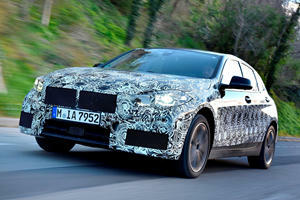 It reeks of improper engineering – suggesting the 2 Series was never conceived as an M-car from the outset. The lack of M-specific drive-mode buttons and MDM mode buttons inside highlights this fact – leaving most of the cabin feeling like a standard 2 Series besides the seats and carbon fiber trim. 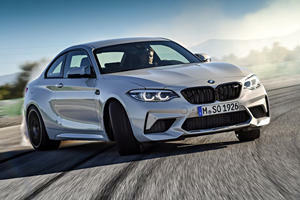 The 2 Series chassis always seemed ready for more – more speed, more power, more everything. With M-tuned adaptive suspension, it’s truly come into its own element. The stiffer suspension setup, derived from the M4, hasn’t come at the compromise of ride comfort, with high performance dampers actually improving the ride quality. Body roll is nigh on non-existent, with just enough lean to feel the sidewalls of the tires flexing at the limits of adhesion. The electronically power-assisted steering is among the best on the market, not dripping with feedback, but still communicative enough to be enjoyable. 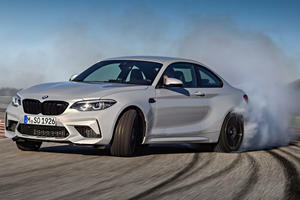 As for outright handling, gone is the perennial understeer, dialed in for safety on base 2 Series models; instead the M2 is a neutrally balanced machine that begs to be toyed with – dancing between neutrality and oversteer. The short wheelbase means the chassis is twitchy by default – alive and on edge, ready to be enjoyed. Unlike other M-cars, the M2 doesn’t get an M-specific S-code engine. Instead, it gets a heavily revised version of BMW’s N55 single-turbo 3.0-liter inline 6, with power outputs boosted to 365 horsepower and 343 lb-ft of torque, plus an extra 27lb-ft on overboost. Driven wheels are limited to one option – the rear wheels only – though buyers have a choice between a traditional 6-speed manual gearbox, with auto rev-matching on downshifts, and a 7-speed M-DCT dual clutch automatic. No torque converters here. Performance is truly special – 0-60mph arriving in 4.3 seconds for the more engaging manual, and 4.1s for the quick-shifting automatic. Standard equipment on the BMW M2 includes ventilated disc brakes all round, and the Active M Differential for improved handling. LED headlights are also standard, with optional high beam assist and adaptive LED headlights, as is a premium Harman Kardon audio system, a rear-view camera, and adaptive cruise control. As for safety, the M2 is derived from the standard 2 Series, which is a 2017 IIHS Top Safety Pick+. Optional safety features include lane departure warning, frontal collision warning, and pedestrian recognition. Standard safety includes ABS with EBD, and stability control. Definitely not as clinical as the Audi RS3, this BMW M2 is built to be driven hard and enjoyed. For those who see driving as playtime and not a chore, this is a true return to form for BMW, proving that deep down they really do care about enthusiastic drivers.